We're a youth-led NGO/NPO founded by enthusiastic and determined youths of Nepal and Japan with an aim of contributing in education and environment in Nepal and Japan. 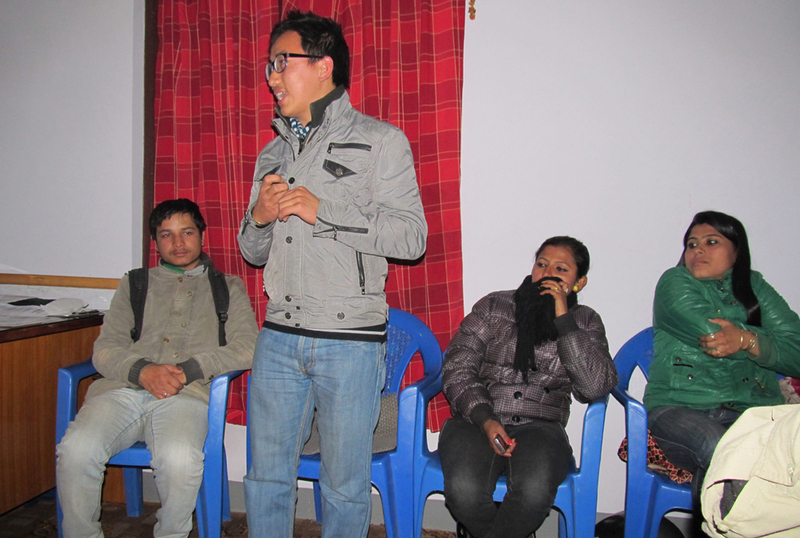 What would be an appropriate topic for a speech if we talk about contemporary problems faced by youths in Nepal? The youths in Pax Earth felt is UNEMPLOYMENT as one of the major problems! 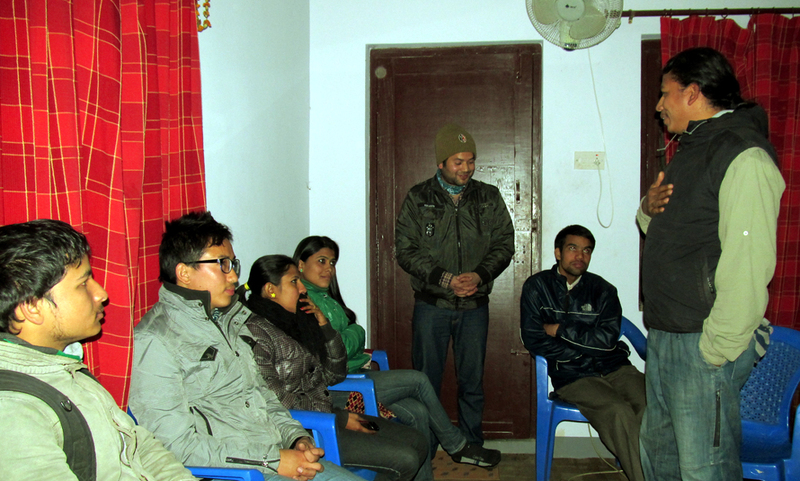 Hence, Pax Earth Nepal (PEN) provided a platform for the youths of Nepal to put forth their opinion on “Youths and Unemployment” when they met up at PEN Secretariat, Pashupati, Kathmandu on Friday December 23, 2011 for PEN Toastmasters Vol. 2, No. 4. In total, 16 energetic youths participated in this Toastmasters Program. PEN Toastmasters Vol.2, No. 4 was called to order by President Sujan Koirala. He cordially welcomed guests and members respectively. He introduced Toastmasters of the Day (TMD) Guna Raj Pyakurel who was also performing the role of Table Topic Master. President, then, handed the session to TMD Pyakurel. TMD Pyakurel disclosed the theme of the day: “Youths and Unemployment”. Nepali was the standard language set for delivering speech. He briefly explained rules and procedures. He introduced evaluation committee members: TM Harihar Sapkota as Grammarian, TM Sachin Koirala as Ah Counter, TM Bal Gopal Shrestha as Timer and TM Sujan Koirala as General Evaluator. TMD Pyakurel introduced two feature speakers of the day: TM Shreebatsa Basnyat and TM Laxman B. Pahari who spoke on “Youths and Unemployment” and “Youth Migration” respectively. TM Basnyat was in his 3rd Project while TM Pahari was in 2nd Project. Both the speakers were given 5-7 min for delivering their respective speech. TM Basnyat in his speech termed ‘poor political, educational, economic and industrial environments’ as major contributors to widespread unemployment in the country. He stated that the youths go abroad for study or employment. He showed concern over the situation of Nepali labours specially in gulf countries. He argued, “Youths must step ahead in bringing a long-term solution to unemployment and for this, the first and foremost requirement is: youths must start respecting the entity of each job.” They should not make any discrimination over different types of jobs and be prepared to carry out any job if needed. This will reduce the existing unemployment of the country to some extent. After the manual speaking session, TMD Pyakurel conducted Table Topic Session. He selected three spot topics: 1, “Foreign country’s attraction,” 2, “Reasons behind going abroad for employment” and 3, “Main reasons behind increasing youth unemployment” for the session. 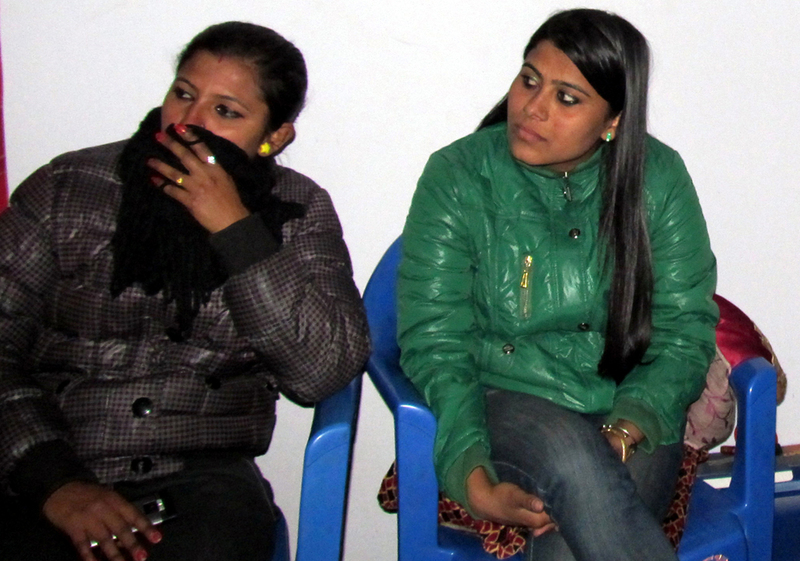 TM Anita Subedi, TM Dev Rana and TM Kamala Basnet spoke on these topics respectively. Each table topic speaker was given 3min to deliver his/her speech. First speaker of Table Topic Session, TM Anita Subedi in her speech said, “Youths are motivated towards foreign countries in a view of earning more.” She claimed, “Youths of Nepal generally fear about losing their reputation if involved in lower level jobs.” That’s why youths don’t want to undertake the lower level job and remained unemployed. “Even, if a youth involve in such a job, instead of supporting and encouraging her/him, s/he is rather discouraged and demoralized by their close friends or colleagues,” she added. This tendency has also contributed in increasing the unemployment. There is a firm belief among the educated youths that they should get a respectable job which is very rare in the context of Nepal. “Such mentality must be change,” she argued. TM Dev Rana said, “Youths attracted towards foreign employment as there is huge unemployment widespread in the country.” Even if the youths get employment, they are not satisfied as they are neither well-paid nor properly encouraged or motivated. In other words, the money they earn from their job is not adequate to ensure their survival. Their disposable income is very low and they can’t save enough for their future. That’s why they view foreign employment as a good alternative for employment which not only provides high earning but also secures their future life. The third table topic speaker TM Kamala Basnet indicated ‘poor education policy and system’ as the root cause of increasing youth unemployment. In addition to educational policy, she sees political scenario as next factor contributing to rampant unemployment. She claimed, “Nepal’s education system is limited to textbook knowledge, the students never get opportunity to apply the knowledge in the related field. Due to this, they may be sound academically but fall far behind in practical field. Similarly, the politics in education institutions have decreased the quality of education in Nepal. She urged for increasing vocational trainings aiming at developing relevant skills and abilities in the students if widespread unemployment in the country has to be reduced. After the table topic session, TMD Pyakurel asked for the respective report from the evaluation committee members. 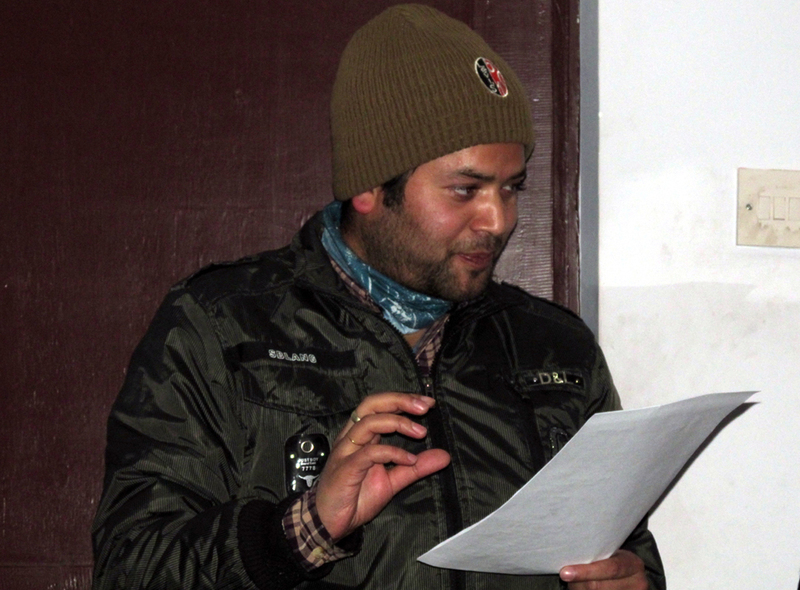 Grammarian TM Harihar reported the grammatical errors in the speech of each manual and table topic speaker. 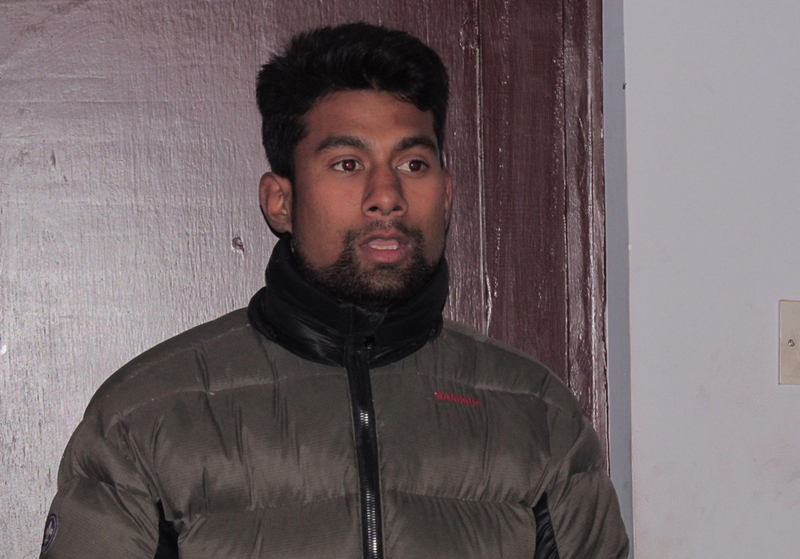 He disclosed incomplete sentences, English words instead of Nepali, wrong words and other grammatical errors of the speakers. He was quite happy for the grammar portion of all five speeches despite some minor mistakes. Ah Counter TM Sachin Koirala presented his evaluation mainly on hesitation, unusual pause and repeated words of every speech. He was quite happy with the performance of all five speakers. 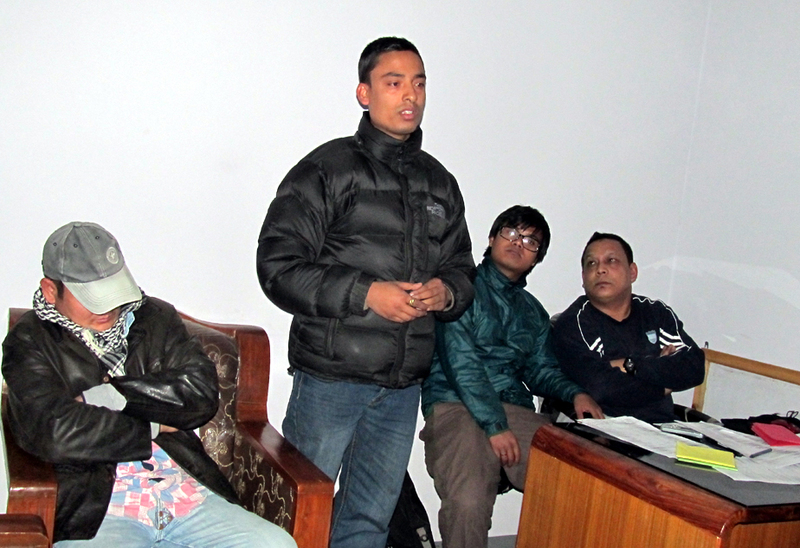 Then, Timer TM Bal Gopal Shrestha came up with his report. As per his report, TM Basnyat, TM Pahari, TM Subedi, TM Rana and TM Basnet spoke 4min 30sec, 2min 2sec, 2min 15sec, 2min 7sec and 2min 5sec respectively. He was happy with the time utilized by table topic speakers however he was not satisfied with TM Pahari and TM Basnyat for not utilizing the given time properly. Finally, TM Sujan Koirala came up with his general evaluation report. He made a general evaluation of all five speeches and whole TM Program. In TM Basnyat speech, TM Koirala particularly evaluated the general and specific purposes of the speech. He further checked whether TM Basnyat’s speech was on to the point or not. Similarly, he evaluated whether beginning, body and conclusion reinforce the purposes or not. Similarly, he made an evaluation of TM Pahari’s speech on the basis of speech value, preparation, organisation, opening, body, conclusion and transition. The speech of TM Basnyat was far better than TM Pahari. Still, TM Basnyat’s speech was also not satisfactory with respect to his previous set standard. In both the speeches, there was a clear indication that their preparation was below the par. TM Koirala didn’t find satisfactory transition of both the feature speakers, hence, suggested them to repeat their respective project once again in future. 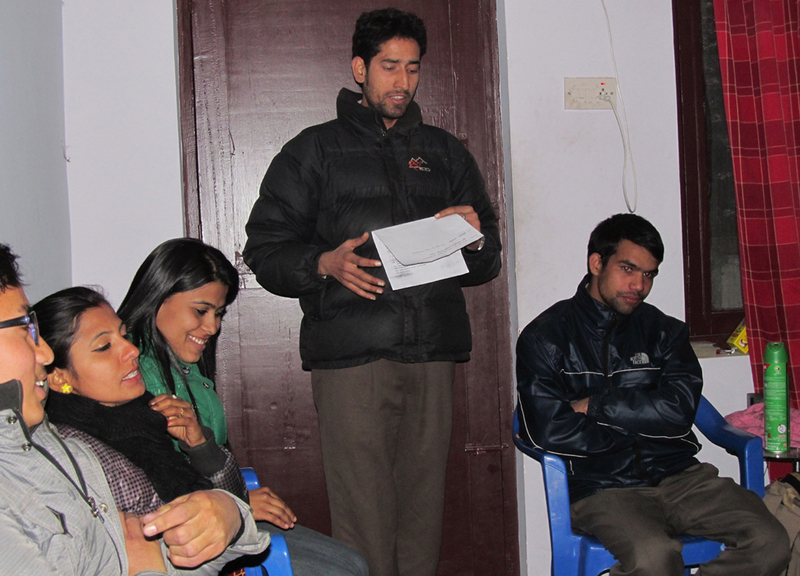 Similarly, TM Koirala presented the evaluation report of three table topic speakers. As they were given the spot topic, it was an ice-breaking event for them. Hence, he generally evaluated speech value, organisation, opening, body and conclusion of the speech. He reported strong and weak points of all three table topic speakers and suggested ways to improve and upgrade their speech. He was very happy that the TM Program went as per the schedule. Though TM Koirala had a task to choose the best speaker for both the sessions, he was not interested in making comparison among the speakers and insisted all audiences to give all five speakers a big round of applause as an appreciation to their attempts. 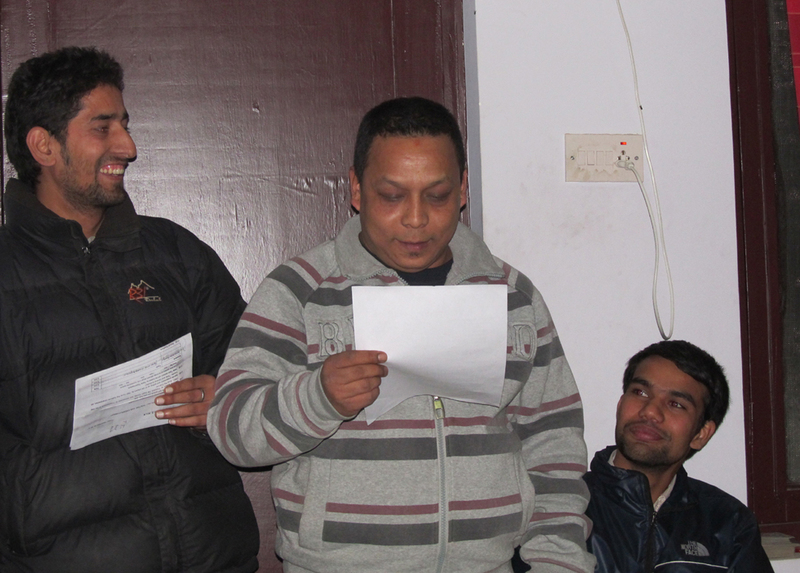 TMD Pyakurel heartily thanked evaluation committee members for their respective reports. Similarly, he thanked all five speakers and audiences for their active and valuable support in successfully running TM Program. He, then, returned the control of the session to President Koirala. Before wrapping up the TM Program formally, President sought the feedback and suggestion from every participant. All participants shared their opinion respectively. Most of them highly appreciated the program and thanked PEN for the invitation. President appreciated appropriate suggestions and advices and assured to incorporate in the next TM Programs. He could also answer to some queries raised by few participants. President Koirala sincerely thanked all participants for their valuable participation and congratulated TMD Pyakurel for flawlessly carrying out the TM Program. After extending vote of thanks, he formally adjourned the program. 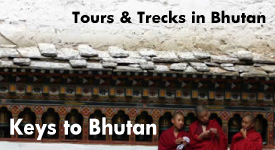 Pax Earth is running Japanese edition website of Keys to Bhutan, a tour operator in Bhutan. We also delivery Japanese translation service for tour booking. © 2019 Specified Non-Profit Corporation, Pax Earth. All Rights Reserved.